At Younker Hyde Macfarlane, PLLC, our attorneys, Norman J. Younker, Ashton J. Hyde, and John Macfarlane can help maximize your recovery by exploring all possible options. A construction accident attorney at our law firm in Salt Lake City, UT, can evaluate your case and determine if there are any third parties that can be held liable for your injuries. If so, we can file a claim to help ensure you receive just and fair financial compensation. Contact us online or call (801) 335-7025 to learn more. In nearly all cases, workers' compensation insurance is the sole source of financial compensation for construction workers injured on the job. Construction workers are often exposed to a number of potential hazards on any given day, including heavy machinery, open pits, dangerous tools, falling objects, chemicals, and sharp objects like metal rebar. The fact that there are accidents is perhaps not surprising given the dangers. Unfortunately, construction workers' injuries are usually severe, ranging from burn injuries, spinal cord injury, and traumatic brain injury. However. workers' compensation is often insufficient to cover the financial losses that stem from these injuries. 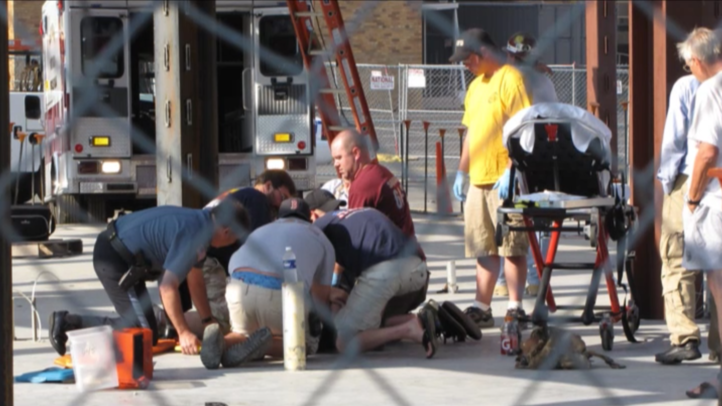 This is why it is important to seek legal counsel in the event of a construction accident. It is important to note, that without first evaluating your case, it is impossible to definitively determine whether or not a third party may be liable. In the case of ladder accidents, for example, there may be grounds for a product liability claim against the manufacturer or designer of the ladder. Many construction accidents occur due to simple negligence. Construction accidents may involve construction workers or non-workers on a construction site. Employers of construction employees are required to carry workers' compensation for workers on the site. However, an injured person can also seek reparations from a third party whose negligence directly contributed to the injury. In a strict workers' compensation case, damages are typically limited to medical expenses and a percentage of lost wages stemming from your injury. By seeking damages from a third party, your construction accident claim can be handled like any other type of personal injury case. This allows your workers' compensation attorneys to pursue compensation not only for medical expenses and lost wages, but future related medical expenses, loss of future wages, inhibited earning capacity, and intangibles such as emotional and physical pain and suffering. Should you have suffered a permanent injury, we will work diligently on your behalf to help ensure the damages awarded are sufficient to provide for a lifetime of care. If it can be shown that a third party contributed to your injury, we can explore a personal injury claim outside of workers' compensation. This can have a significant impact on the potential damages that you recover. Typical third parties in construction accident cases include the manufacturers and designers of construction equipment. Most of these cases are handled as product liability claims. To determine third party liability, the construction accident attorneys at our firm in Salt Lake City consult with experts in the fields of forensics, mechanical engineering, electrical engineering, accident reconstruction, manufacturing, and design. By consulting with these experts, we can determine if a piece of construction equipment was inherently unsafe or was manufactured poorly, leading to an injury. If so, it may indicate product liability and a personal injury claim. If a loved one has been killed on the job, we can evaluate your case and help you file a wrongful death lawsuit against the liable parties. In a wrongful death suit, the family of the decedent may be able to recover damages for a range of financial and non-financial losses, including funerary and medical expenses, loss of income and contribution, and emotional pain and suffering. If you or someone you love has been injured on a construction site, we encourage you to explore all of your options. You are likely to find that workers' compensation is insufficient to cover your financial burden. To learn more about filing a lawsuit and seeking compensation for your or your loved one's injuries, please give us a call at (801) 335-7025, or contact our law firm online to schedule a consultation.